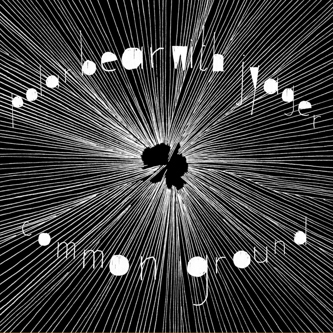 Common Ground marks the first collaboration between Mercury-nominated jazzists Polar Bear and London-based MC, Jyager. This twenty-five minute mini-album follows up Polar Bear's Leaf Label debut, Peepers, taking some of the original tracks from that album - even using samples from a vinyl copy of the record - and completely reconstructing them, adding Jyager's vocals along the way. The results are often weird and woozy, but the looseness and experimentally-minded approach to the project ensures it works rather nicely, avoiding any cliches you might associate with jazz-fusion experiments or the sort of awkward hip-hop cross-pollination that tends to result in outmoded acid-jazz or trip-hop oddities. Instead, cuts like 'Don't Think I Won't' and the superbly chopped-up sampling of 'Fire It Up' work a treat.